I mentioned in my previous post that I’d had a quick trip to UK, the main purpose was to tidy up loose ends and bring back a few personal things that I wanted to keep. A lot of my clockmaking tools and DIY tools were stored in a garage and very fortunately for me a clockmaker friend of mine bought the whole lot. I had already arranged to sell my clock book library to a book dealer in Oxfordshire so in one fell swoop most of my tidying up was completed. When went through everything else I found there were lots of things I wanted to bring back, far too many too bring in fact so I had to spend a heartbreaking afternoon putting many items in a rubbish skip. Nothing that I threw away had much monetary value but a lot had sentimental value. Well it had to be done and now I’m back here in Turkey I am happy to have the few things I did manage to bring with me. The most important for me to bring was this clock. 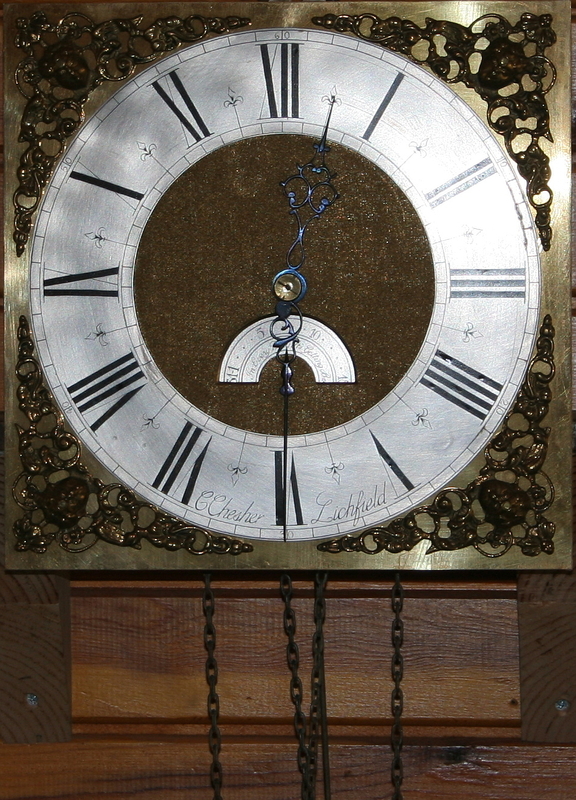 It is a 30 hour longcase clock (grandfather clock). The case I sold and just brought the movement which is now mounted on a wall in my house and is working well although the strike mechanism is missing a couple of parts that have disappeared somewhere. I found the antique movement in a car boot sale back in 2002 and made a dial for it then got a friend to make me a nice oak case which I was very upset to have to sell. I’m going to get some cedar to make a case here. Why cedar? It’s freely available here, relatively cheap and easy to work with and doesn’t suffer too much from shrinkage when it dries out, it’s nice looking too. The other important item that I brought was a guitar, a twelve string copy of a Gibson ES 335 thinline archtop semi-acoustic electric guitar but this one is made by Aria. Frankly it’s not a very well made copy but when I’ve finished the repairs and modifications it will be a lot better. The repair involved fixing a crack in the pocket where the neck screws in. The Gibson model has a set neck i.e. it is built in rather than being held in place by big screws and the block that the pocket is machined into should have been made to run the full length of the body to give it sufficient strength. In this one the neck was not sufficiently stable to take the strain of twelve strings and the block had cracked. Anyway I have managed to fix that and with only six strings it keeps its tune and sounds very nice. Twelve strings cause it to drop out of tune before you even get halfway through the intro of a song! I’ve simply taken the extra six strings off for now but I will order proper six string hardware for it. There are a few other little things that I managed to tuck into the corners of my case that are not worthy of a mention individually so I’ll lump them together and call them personal memorabilia, just things that I’m happy to have with me again. There were a few pleasant surprises in U.K. too. The roads were in a much better state than I had been led to believe by the newspapers, all that whingeing and moaning about the potholes and lack of maintenance but without exception the roads I drove upon were in an excellent state of repair. Another surprise was the standard of lane discipline and observance of speed limits. Admittedly there are more speed cameras around now than when I left eleven years ago but after driving in Turkey for ten years I found I was the one who needed to get my act together. I was very pleased to meet up with my two brothers and spend a little time with them, we haven’t seen each other since I moved to Turkey eleven years ago, nice to see you guys, you’re looking happy and well. 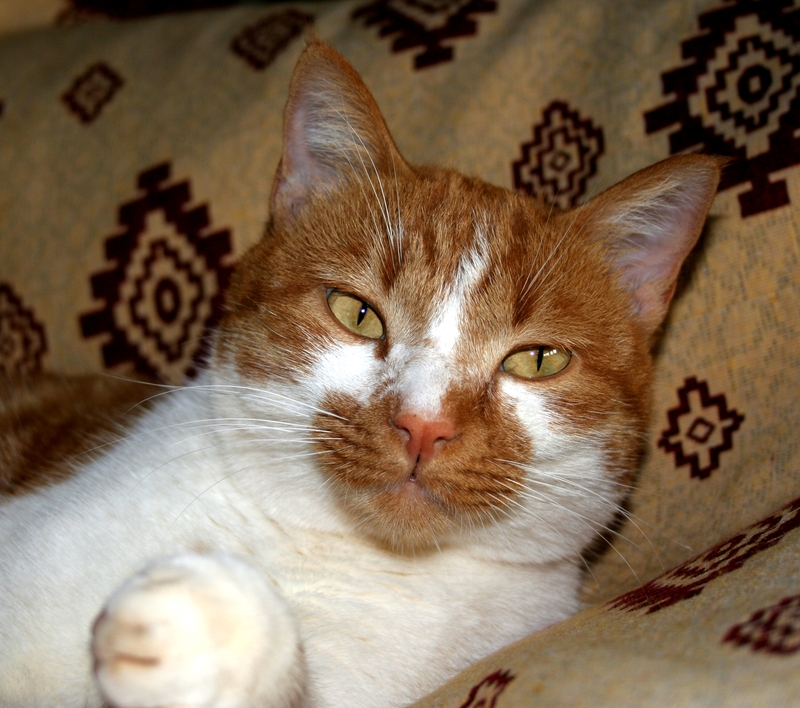 Very sadly a week after I got back my little cat Stanley was hit by a car and killed. I was heartbroken, still am, he was a super little cat and had been with me since he ventured up here as a kitten ten years ago. He used to come into the house in the middle of the night and sleep on my bed. So sorry Stan, RIP my little friend. Hi Chris, very sorry to hear about the cat getting hit by a car and dying. Ordinarily cats are able to dodge such dangers because of their speed and agility. Do you think the cat’s age may have been a factor? A neighbour’s cat used to sleep behind the wheel of her car. One day she rolled over it. The cat never heard the engine start up because it was in deep sleep. My cat cat, Rocky, is now nearly twelve and, at times, he is in such deep sleep that it is hard to rouse him. Cats, when young, are very light sleepers. Glad you had a good trip back to England. I didn’t know you were God at fixing mechanical clocks. I have two really old ones. One is a Seth Thomas that used to be my wife’s grandfather’s property. This one is keeping good time. The other one is not working. Did you give up your tools? “The Remington’s of India” is selling in a small way. It has not brought in the sort of royalties I was hoping it would. But the reviews have been good. Thanks Javaid, the losing of a loved pet is a hard thing to bear. The Seth Thomas will be a fairly valuable clock over there I expect. Glad to hear your book is doing well. Thank you Julia, hope you’re having a good summer. I thought I’d check in to see how you are these days, glad to see that you’re as good as ever ! 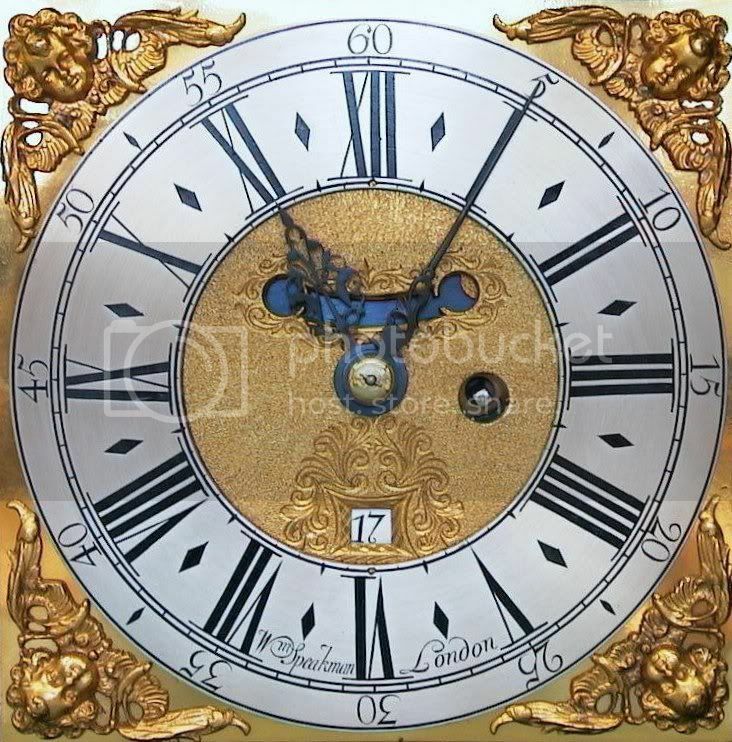 ….and the old clock “itch” can never be adequately scratched. We now live in Cardiff …all’s well. Jon Jude Flo and Fliss. PS If You’re looking for a book to read on your Kindle I recommend Birds without wings , Louis de Bernier. It’s about Turkish history and a great read. (I’ve been “into” reading books about Turkey and the Ottomans recently. Hi Jon, great to hear from you. Well Cardiff is the better for your presence without a doubt. Yes I’ve read Birds Without Wings, the village is not far from here actually but is currently being offered to private investors who will undoubtedly “develop” it for tourism as has happened in a number of places over the last five or six years. Louis de B has written a few other books that are equally compelling. Glad to hear everything is good with you, all the best, give my love to Jude.